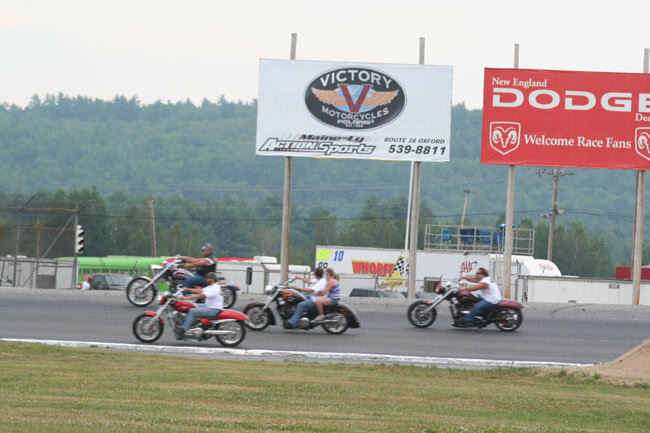 OXFORD, Maine - On a weekend when drivers converge upon Oxford Plains Speedway from all six New England states and multiple Canadian provinces, Maine bagged the first bragging rights with a victory that was a dozen years in the making. 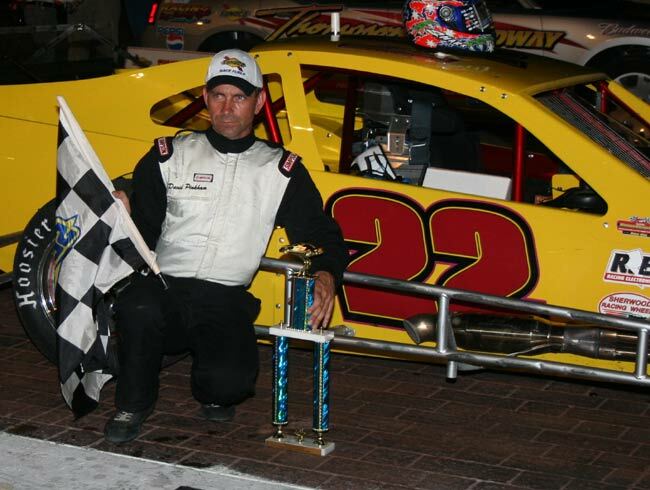 David Pinkham out-powered Late Model star Jean-Paul Cyr on a lap 85 restart and drove away his second career True Value Modified Racing Series checkered flag with the Maine-Ly Action Sports 100. 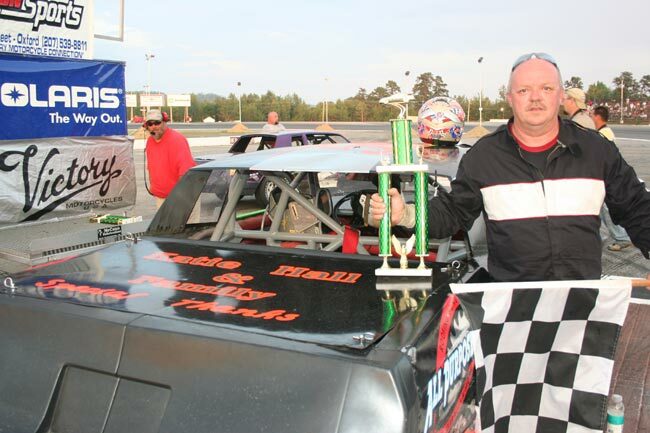 Pinkham, who ended a 12-year absence from open-wheel racing three summers ago by winning his TVMRS debut at his home track, Beech Ridge Motor Speedway in Scarborough, snapped an identical drought from OPS victory lane. 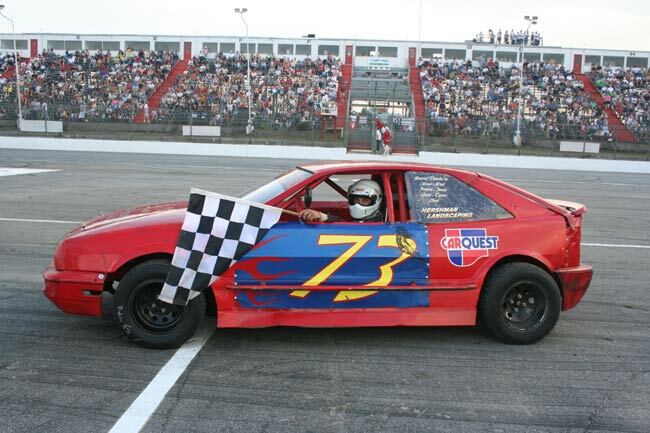 His last Oxford win came in a Pro Stock in August 1996. 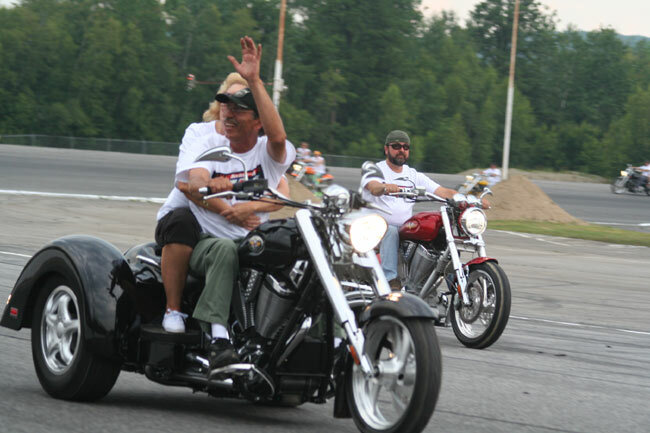 It was also an emotional triumph for car owner Tom Greeley of neighboring Auburn. 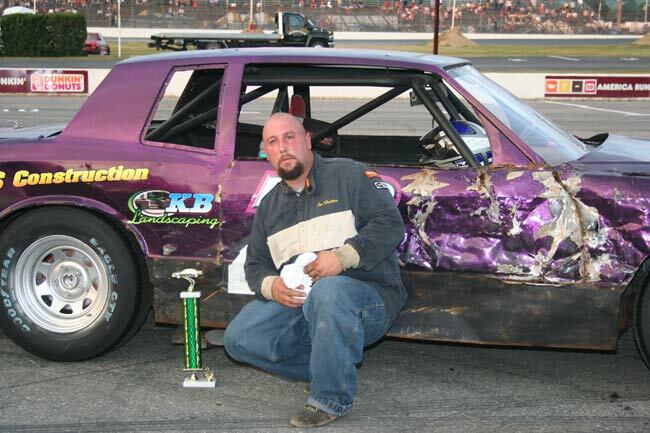 "This car was sitting without an engine on Wednesday, nothing but a bare block," Pinkham said. "Warren Johnson put it all back together. We weren't going to miss this race for the world." 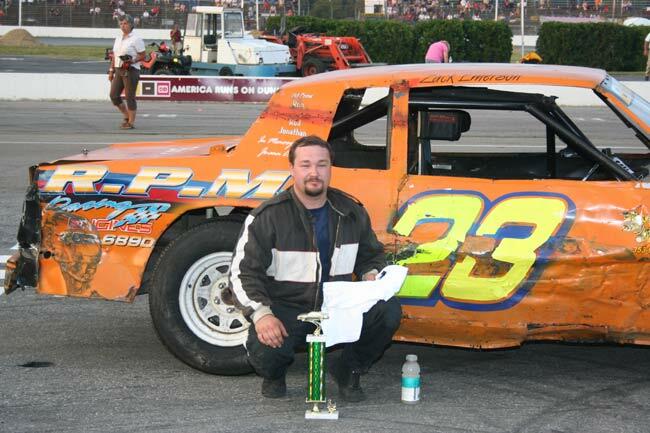 In another interesting twist, Pinkham borrowed the same car that Cyr drove to second place and wheeled it in a race at Lee USA Speedway in New Hampshire eight days earlier. 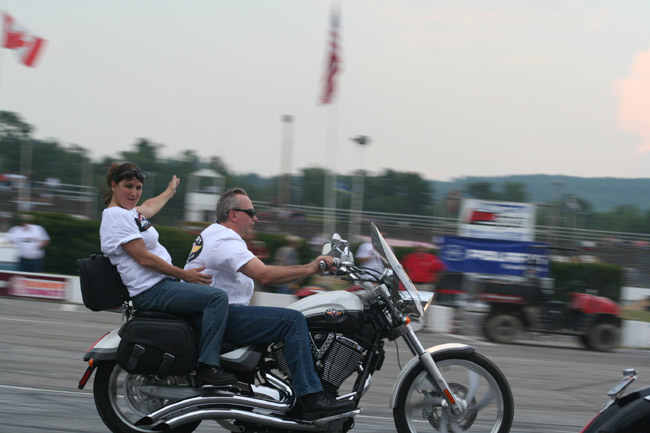 That team, owned by Gary Casella of Saugus, Mass., also provided the transportation for Pinkham's initial True Value Mod triumph at Beech Ridge. "Jean drove a great race," said Pinkham, "but I was the last guy to win a race in that car, so there was no way I was letting him win." 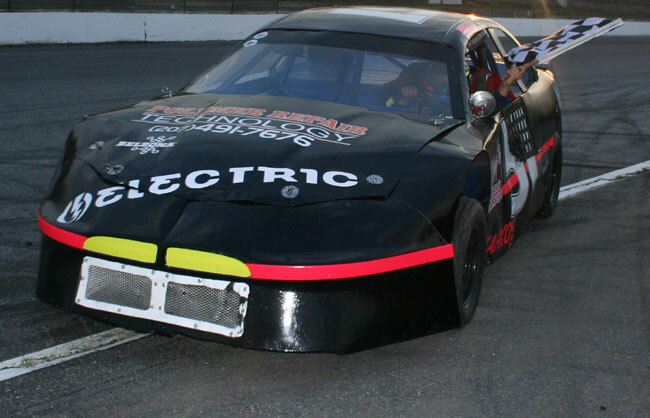 Cyr's car was the strongest all night during long green-flag stretches. Three times, however, the seven-time American-Canadian Tour champion lost the lead on restarts. 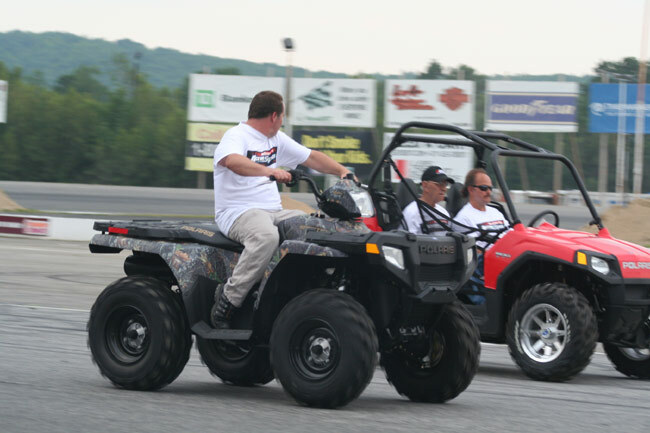 Kirk Alexander and Dwight Jarvis each swiped away the lead for a lap or two before giving it back. Pinkham's third try was a charm. 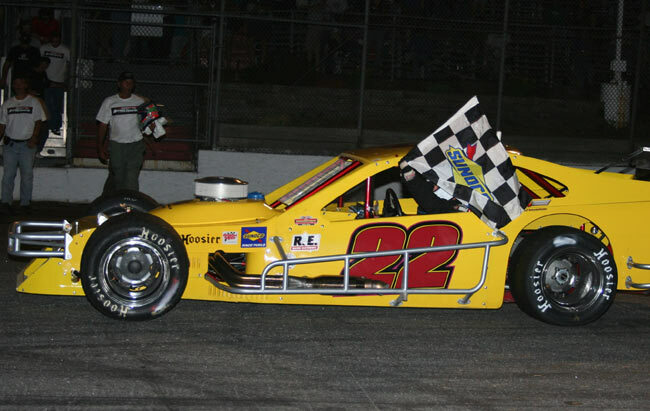 It was still the best performance of the season for the Casella #25, which has seen eight different drivers behind the wheel. 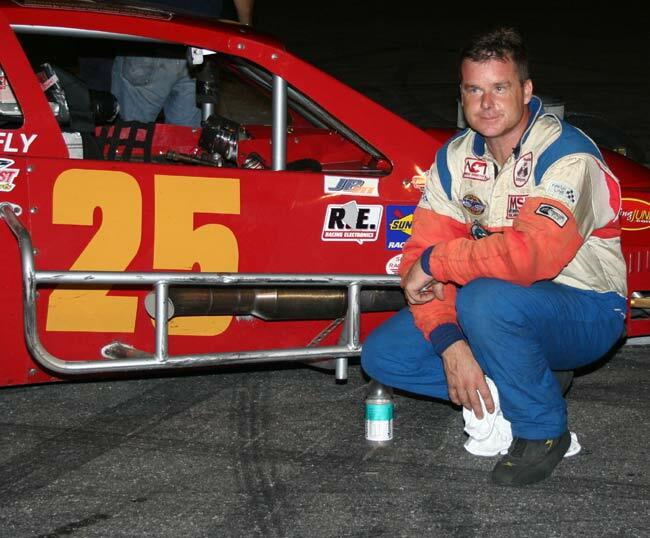 Cyr, who does have limited experience in the NASCAR Whelen Modified Series, made two previous starts in Casella's car this season. 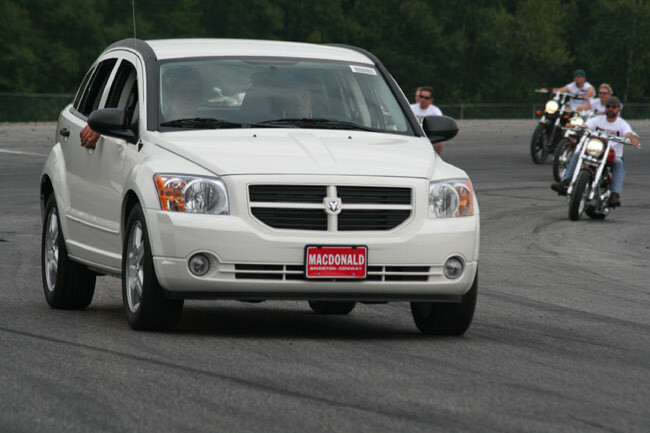 "He offered me the chance to drive it this afternoon," said Cyr. "I thought he was a fool for asking, but I would have been a fool not to take it." Cyr closed his newfound deficit to two car lengths with five laps remaining, but Pinkham maintained that advantage until the checkers. 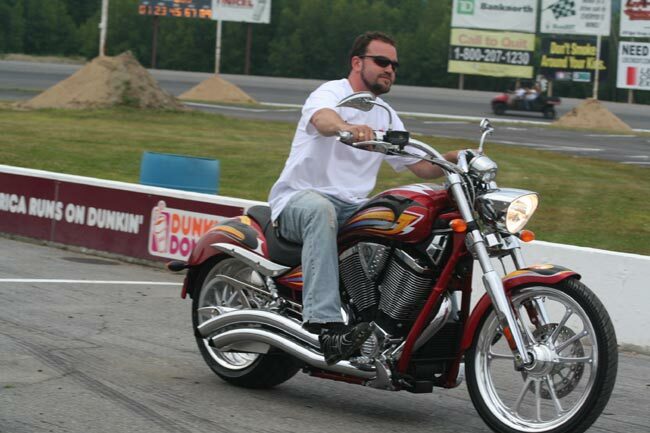 Jarvis, a former champion of the series, was a strong third. 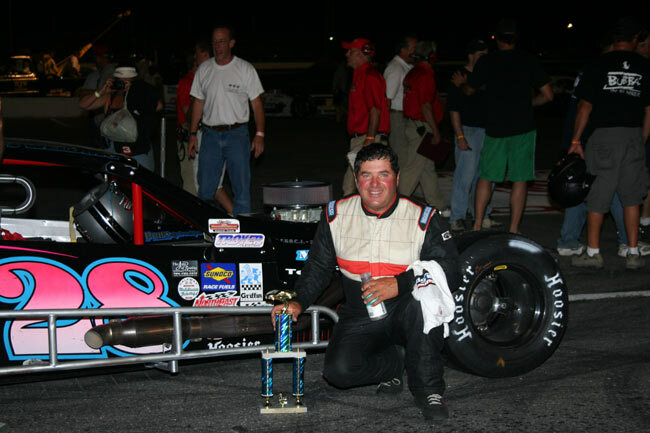 Jon McKennedy made a late charge after a lengthy mid-race battle for position with Eddie Dachenhausen to grab fourth in front of Les Hinckley. Dachenhausen's departure due to an expired engine brought out the fateful fourth and final caution with 15 laps to go. Fifteen of the 18 starters finished on the lead lap. 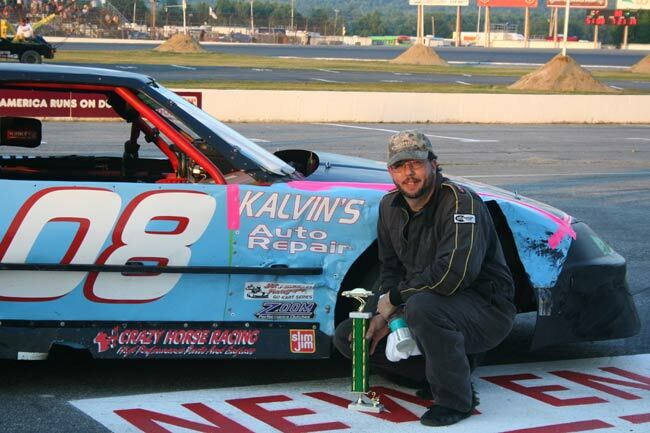 Justin Karkos (Allen's Coffee Flavored Brandy Mini Stock) and Mike Short (Allen's Coffee Flavored Brandy Strictly Stock) each matched the leading total in their division with their third feature victories of the season in supporting, 30-lap action. Those classes kicked off their abbreviated doubleheader weekend after friday's rainout. 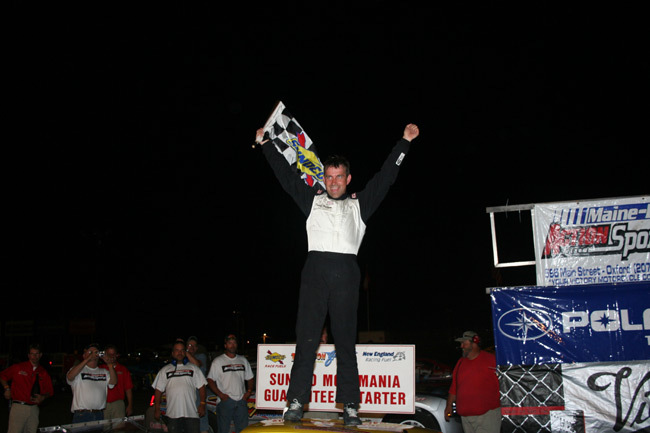 Mayhem ensued over the final five laps of the Mini Stock main event. Karkos was so far ahead of the confusion that it didn't matter. "It looks like drama still continues here," said Karkos, who was in the middle of many memorable victory lane sequences last season. 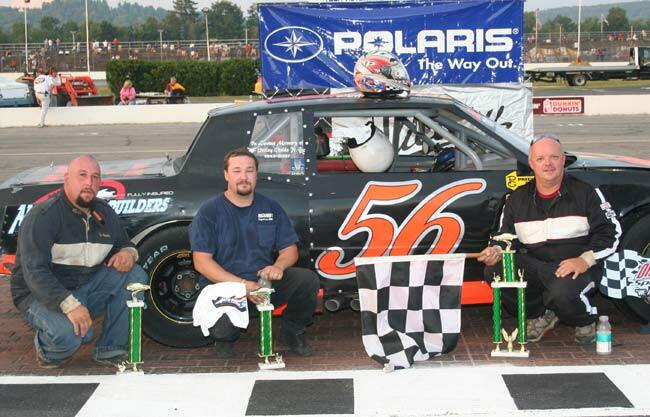 After taking the lead from Don Frechette on lap 6, Karkos crossed the stripe nearly a half-lap ahead of Kevin Bishop in the Roy's All-Steak Hamburgers/Polymer Repair Technology #51. 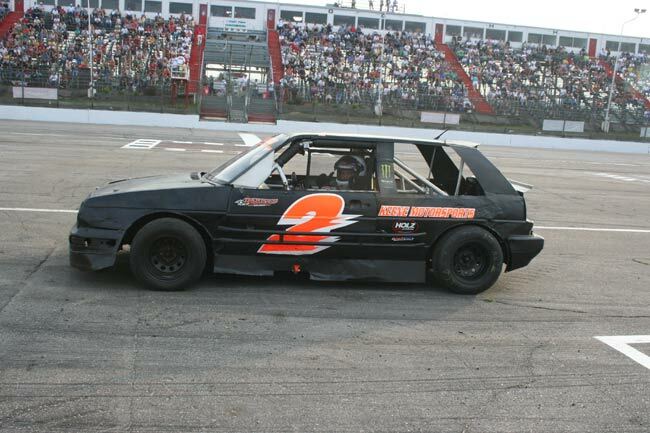 "Joe Decker painted the car this week. 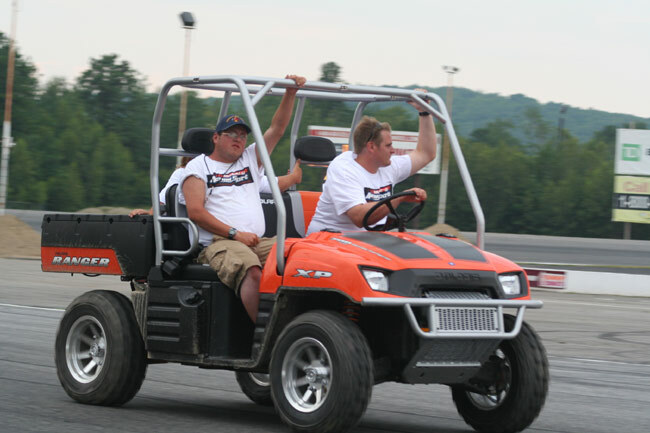 We wanted it to look like Rowdy Busch's car," said Karkos, referring to NASCAR star Kyle Busch's alter ego borrowed from a character in the racing movie "Days of Thunder." "I've got to thank Rich Sirois. 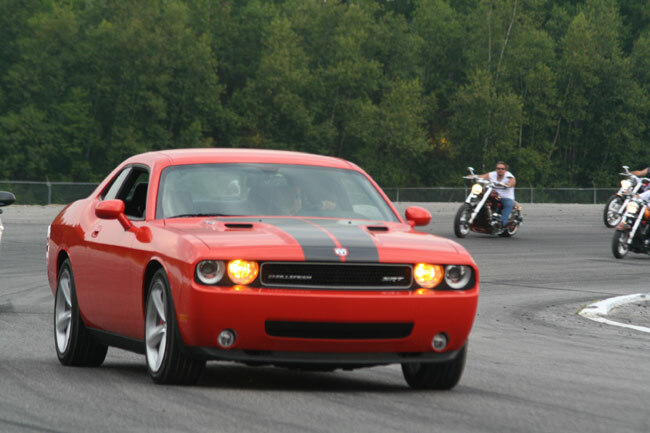 I bought this car off him. I've had a lot of problems with it, but he stuck with it and helped me out." 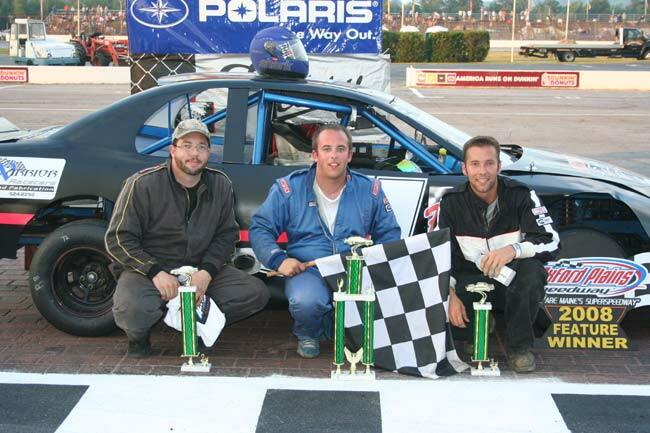 Bishop moved into second when Frechette and Adam Polvinen tangled late in the race. 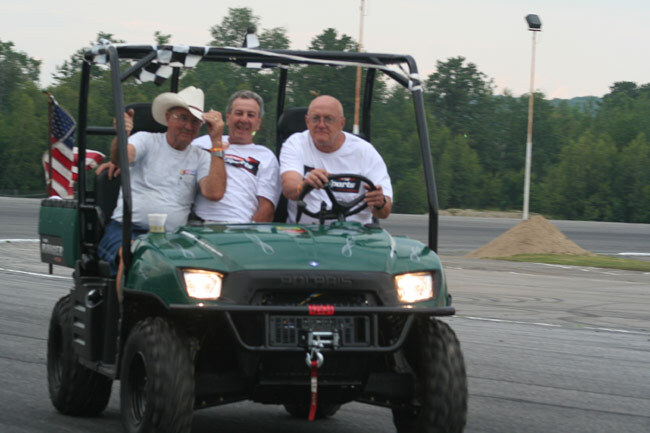 "If I can get this thing running all four cylinders, all the way around the track, we're really going to have something for them tomorrow," said Bishop, whose runner-up trophy was his best effort of the season to date. Polvinen was penalized one lap for his role in the late activity. 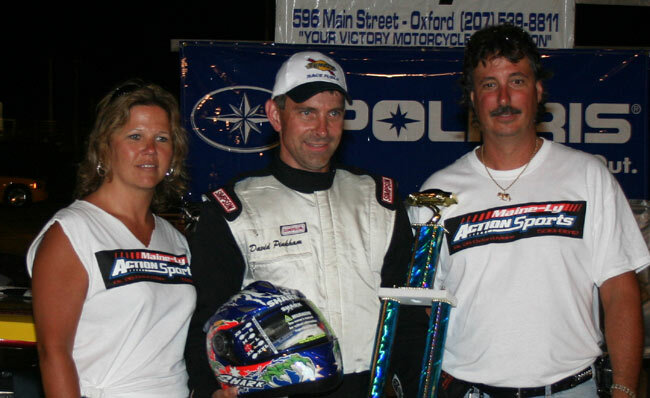 Randy Kimball survived the scramble to collect third, the third podium finish of his rookie campaign. "I've got to thank my dad for giving me a job so I can afford to feed this bad habit," Kimball said of his racing endeavors. 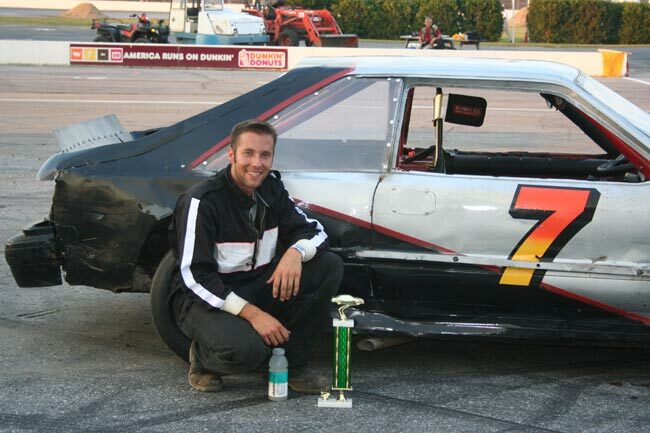 Rick Giguere moved up the ladder to a career-best fourth. Shane Kaherl was next, posting his fourth top-five finish in his last five starts. Championship leaders Darrell Moore (10th) and Ashley Marshall (15th) both struggled on the night, with Moore borrowing a ride from his cousin Matt simply to run the feature. Short didn't have the benefit of a caution flag to bunch up a spread-out Strictly field. 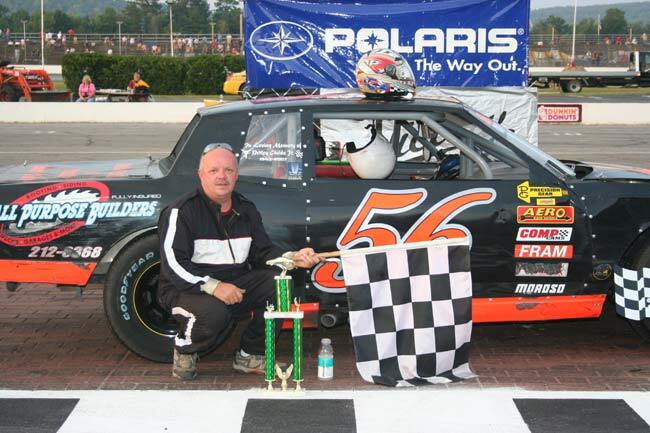 The 1997 division champion conducted a clinic in the outside lane at the helm of the All-Purpose Builders #56, though, concluding that drive by dislodging Joe Hutter from the top of the leader board on lap 21. "I've got to give him credit for a good run,." Short said. "It was a little slick out there tonight." Hutter fell one spot shy of his first victory in three years. 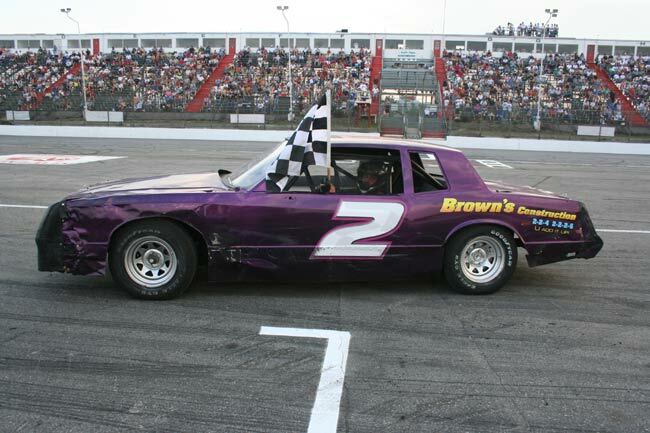 He has run a partial season in the Brown's Construction #2, handing the reins to Mike Blue for two races before returning to the fray. 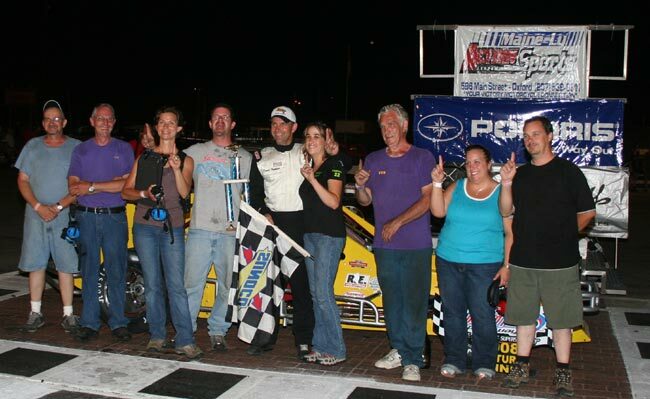 Zach Emerson, separated only two seasons from a terrific championship battle with Ben TInker in 2006, made his first appearance in the victory lane photo all summer by holding off Matt Williams and Skip Tripp in a seven-car battle for third. "This is my third year with Ron Abbott Jr. (on my team), and I think this is my first time up here in that time," Emerson said. "It's been a long drought for all of us, and he works real hard." 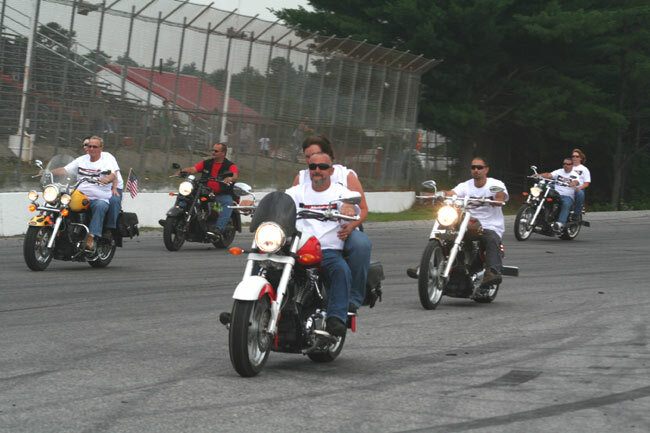 The main attraction is on tap at 2 p.m. Sunday with qualifying for the 35th annual TD Banknorth 250. Eighty-three cars practiced Saturday in anticipation of the race, which will pay up to $50,000 to the champion. 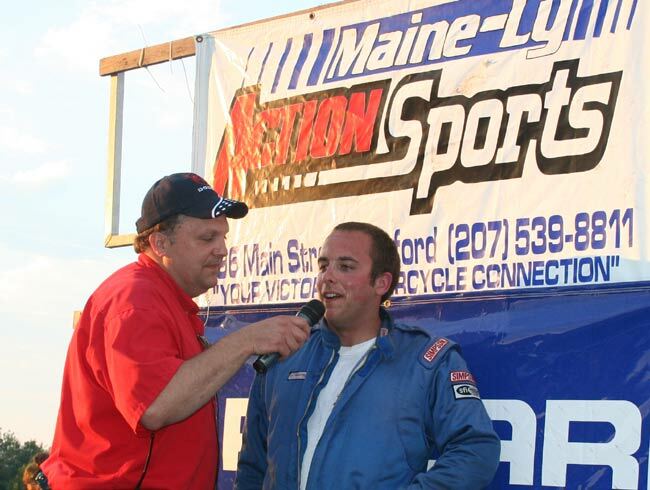 Lap leaders: Cyr 1-22, Alexander 23, Cyr 24-59, D. Jarvis 60-61, Cyr 62-85, Pinkham 86-100. Lap leaders: Keene 1-4, Frechette 5-6, Karkos 7-30.